I am so so so excited to update this blog post! Supposed to do it yesterday but I was a lil tired and a lil busy actually. Last Friday, I was invited by the fabulous team, The Butterfly Project to this event. As I receive the email I just can't stop smiling. Its Dollywink! Although I don't own their product, but yes, I have been eyeing on them for quite a while but did not get the chance to buy them because I still cant afford it yet. I loveeee their false lashes collection, especially it comes in such a cute box and yes, the price says it all. Although it may be a lil pricey for a false lashes, it certain have a reason behind it! Let's take a look about it more down here. 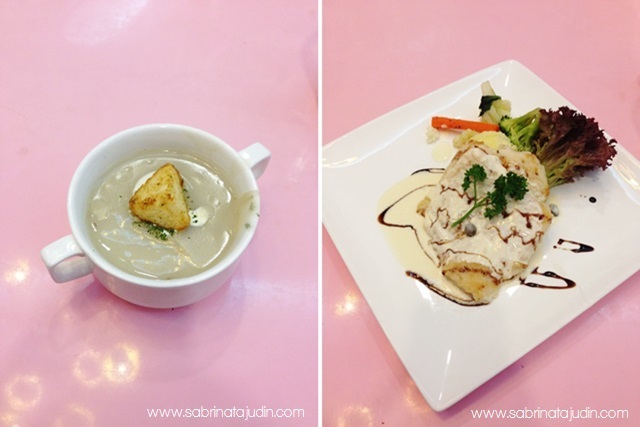 The event was help in IOI Mall in Puchong, in a restaurant called The Pantry. Its a very cute restaurant filled with pink and white furniture. I just get excited for that. 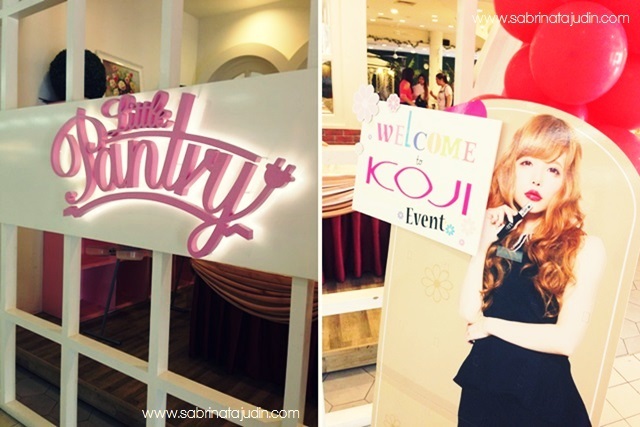 Look at the pictures down below, aren't the ambiance just perfectly suits Dollywink cute theme? The Dollywink falsies.. >,< Would be nice if I can have it all and just admiring them on my vanity table? The Brow Gel. Comes in 3 shades. SUPER, waterproof. If you are looking for a good brow gel maybe if you are planning to go swimming or something, this definitely a product you should have! Some eye pencils in some oh so must have all cute packaging. Eyeshadow quads, They are pretty pigmented and suit everyday wear. 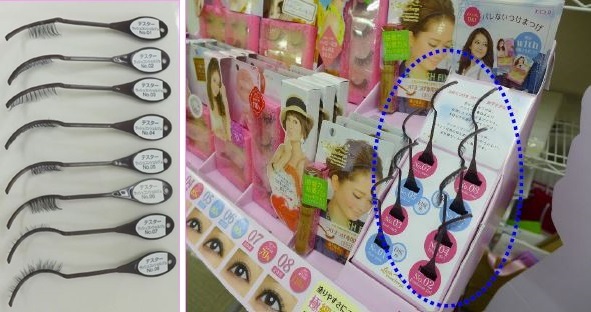 The color are much more like "having" Tsubasa favorite shade for her everyday look. This is the new falsies that is launch during the event. It is called the Lash Concierge. If you are looking for that perfect natural lash, this is it! Will blog more about it in a single post for more depth information. Edazz get her falsies up! Our tables are filled with makeup items that we can play around! SUPER FUN! During the workshop, we were given some introduction on the history of Koji. Koji was the first company to produce and commercialize false lashes, and these lashes were offered to the Geisha in Japan. As guess what, it has been 66 years since then. Also, we were introduce to the best seller product, the Curving Eyelash Curler. Will review it pretty soon! She is trying the eyelash tester, pretty unique right! So if you are like me who don't know how to choose which false lashes you want to buy. Another pretty blogger, Carolyn! Trying out the Koji apps from the iPad. Its pretty fun but you need to explore it more in order to understand better. This apps also help you to choose which falsies suits you better. When I said the food is delicious, it is! I wont lie! And yes indeed I am very happy with the whole event including the food! It was super delicious!!! I am so glad I finally meet some bloggers that I have not meet yet! We were all like sisters that totally understand each other, especially obsession towards beauty stuff! We can just talk long hours about it! Thank you The Butter Project for inviting me! Wow! Awesome!I love their cute decoration. it is a very fun afternoon! nice meeting you laura! Wow...looks like a fun workshop. I love xlash eyelash serum. My eyelashes have always been long but not very thick. After boguht xlash from this website http://www.xlash.net/ I saw results in about a week and am still using it, but I only apply it a couple times a week now. You should use it morning and night until desired results are met.